Shaun & Rhian Thompson would like to welcome you to 'Pentigili'. We are situated three miles from the smallest city in Britain, St Davids on the A487 towards Fishguard O/S ref: SM80.28. 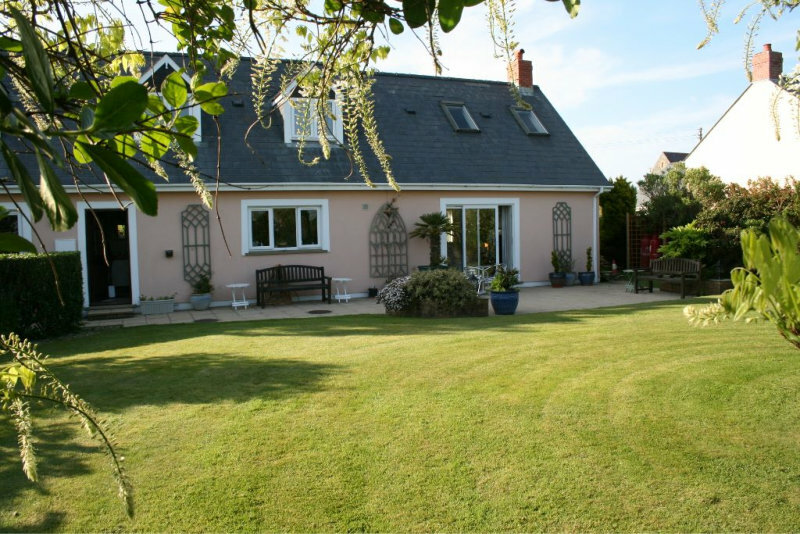 Our home is a dormer bungalow situated in a peaceful rural area with views across the open countryside to the Pembrokeshire National Parks coastline. 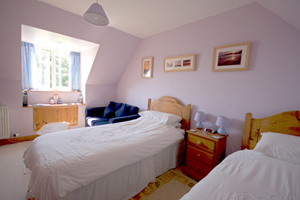 Our accommodation consists of two twin bedrooms furnished to a high standard with tea/coffee facilities, tv with freeview, dvd player and radio. Both bedrooms have private bathrooms.There is ample parking and storage and drying facilities for motor-bikes, bicycles, diving equipment etc, and a beautiful garden for relaxing in. We are happy to ferry you to and from places within a three mile radius day or evening so just think, you do not have to worry about 'drinking and driving'. Sorry we do not accept 'pets'. Sorry we do not accept credit/debit cards. One person's deposit is required if staying for more than one night and is non-refundable. Nr St Davids, Pembrokeshire. SA62 6XT.